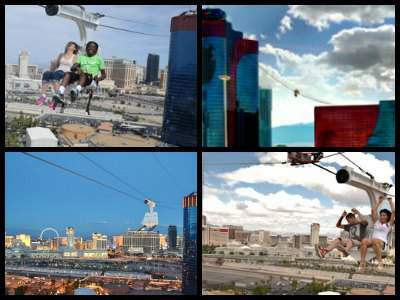 These fun and extreme things to do in Las Vegas in 2019 will take your adrenaline to new levels that will have your heart pounding in your throat! 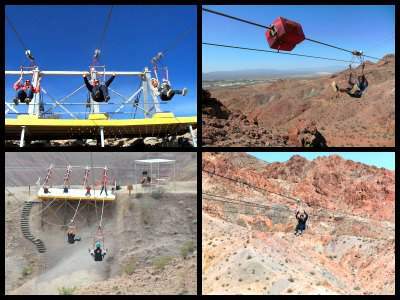 These off-the-chain excursions range from shooting high-powered weaponry to soaring in a hot air balloon to driving a super-fast car around the Las Vegas Motor Speedway. Other tours include racing across the Mojave Desert in a dune buggy, jumping off the Stratosphere Tower, riding an incredible roller coaster and you can even fly your very own fighter jet while engaging. People are thrilled destroying a car with bulldozer, taking a horseback ride through the Wild West and don’t forget about experiencing the adrenaline of indoor skydiving. The extreme options for excursions are endless and they are all guaranteed to leave you breathless. 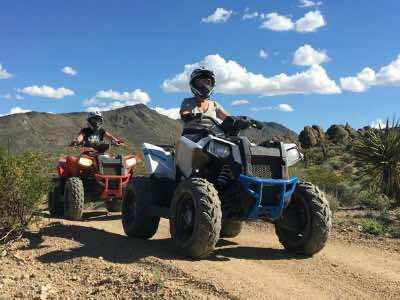 Taking one of the many ATV tours is a superb thing to do in Las Vegas for adrenaline junkies and people who want to experience the natural landscapes in an extreme way. 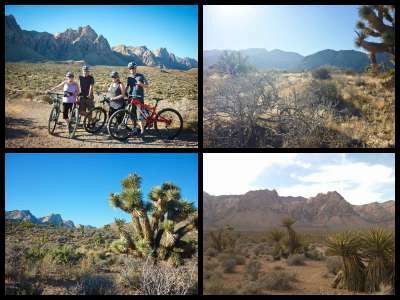 There are numerous ATV excursions that have you driving in spectacular natural landscapes like the Valley of Fire State Park, the Nellis Dunes, Hidden Valley as well as following the Colorado River in Lake Mead National Recreational Area. The ATVs are super-fast and easy to navigate as you cross over several desert dunes, creek beds, rocks and everything in between. The landscapes offer beautiful looks at unique rock formations that glisten in the desert sun and the wildlife viewing is fantastic too. All your safety equipment is included on these excursions that are sure to take your adrenaline levels to new highs. 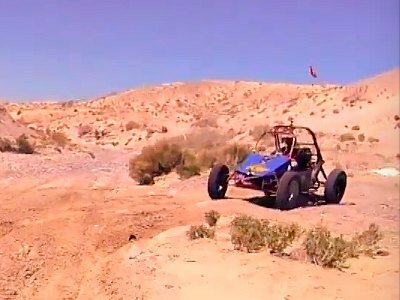 There is no better thing to do in Las Vegas for people who want to go extreme in the desert than to take a dune buggy excursion. These tours will put you in a different mindset as you navigate your customized desert dune buggy over numerous trails. The trails are fantastic and you will be flying over ditches, racing across creek beds and the flat desert floor is ideal for high-speeds. Dune buggy tours also have you experiencing some of the most unique natural landscapes in the area at places like Valley of Fire State Park, Hidden Valley Monument, the Nellis Dunes and the Rattle Snake Cliffs. The customized dune buggies are amazing too with several different options including a super-fast Polaris RZR, Polaris XP1000 and the Can Am Maverick 1000. One of the best Las Vegas activities for all types of visitors who like to be challenged both physically and mentally is to try one of the many thrilling Las Vegas escape rooms. You will be amazed at the wide assortment of challenges that the escape rooms have created to challenge your wits. You can chose from a full immersive adventure while escaping from the Jigsaw Killer or you can break yourself out of jail in a variety of scenarios. There are options to craft a live saving antidote, do battle with Zombies and you can even pretend to be Indiana Jones while you recover artifacts from an ancient tomb of a pharaoh. You can decide what type of adventure you want to solve whether that is solving a murder, escaping a serial killer or just trying to survive after a natural disaster. Going to one of the many shooting ranges is a perfect thing to do in Las Vegas when you want to feel the extreme power of shooting numerous high-powered weapons. There are plenty of unique packages for you to choose from at these fantastic shooting ranges and each package allows you to customize the types of guns you want to shoot. The high-powered weaponry available ranges from shooting a M60 to AK-47 to a Glock 17 to a Barret Sniper Rifle. The options offered put you into the action where you can experience scenarios from WWII, Desert Storm, chasing Zombies or being a Mob Boss and if that’s not enough try a package where you blow up a car. All of the shooting ranges offer state-of-the-art hardware for you to shoot in a safe and controlled atmosphere that will definitely have your adrenaline levels rising. An excellent thing to do in Las Vegas to get your adrenaline moving higher is to try one of the many exotic car excursions. 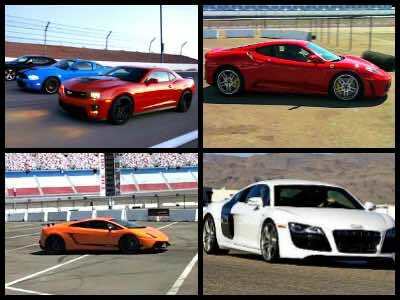 Imagine yourself behind the wheel of a high-powered racing car that is ready to tear up the track at the Las Vegas Motor Speedway. There are numerous options on these tours to get your adrenaline flowing in a positive way. You can choose the amount of laps, your racing car and your family can watch from the grandstands. The racing cars are outstanding with options like a Lamborghini, Ferrari, Porsche as well as several muscle cars from a Shelby Cobra to a Corvette Z06 and don’t forget about the NASCAR tours. For the off-road racing fan, there are big customized trucks just waiting for you to drive over the intense Mojave Desert terrain while racing your friends. 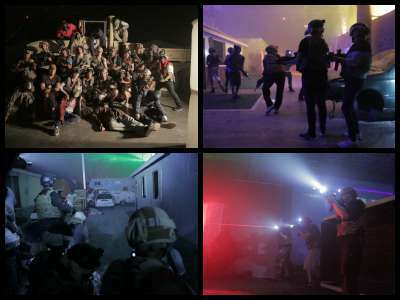 If you are looking for fun things to do in Las Vegas that are ideal for all types of contestants including families then you should head to a Las Vegas paintball course. 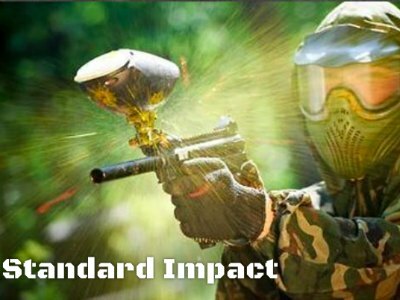 You will be thrilled with the challenges that paintball brings to all participants. There are a variety of playing courses near the Strip and packages include all the safety equipment that is needed. Families will be delighted with Las Vegas Premier Paint Ball where you will find a the low impact paintball game which is superb for children and more advanced players will be enthralled with shooting at Bone Head Paintball which is the oldest paintball facility in the state. For the person who is looking to hone all of their battle skills then Las Vegas Gunfights is perfect where you will fire a modified 9mm Glock and face hand to hand combat when you run out of ammo. Las Vegas airplane tours are action packed and filled with adrenaline making them one of the more fun things to do in Las Vegas. The excursions offer you a bird’s eye view of the Strip, the Mojave Desert and surrounding historic landmarks like the Hoover Dam as well as Lake Mead. On the extreme side you can soar in a jet fighter plane while learning fighting tactics and shooting at your enemies. 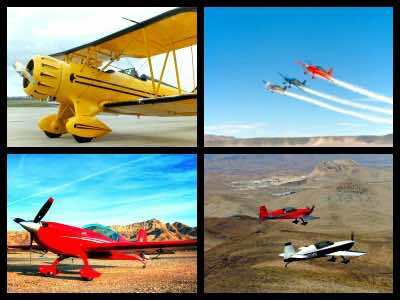 Your body will be amazed with the G-force created on take-off in an authentic fighter plane and the acrobatic maneuvers of the stunt bi-planes are overwhelming to the senses. There are flights that take you to the Grand Canyon with side trips once you land include tours to Antelope Canyon or Horseshoe Bend along the roaring Colorado River. On the romantic side you can become a member of the Mile High Club while flying over the Strip. 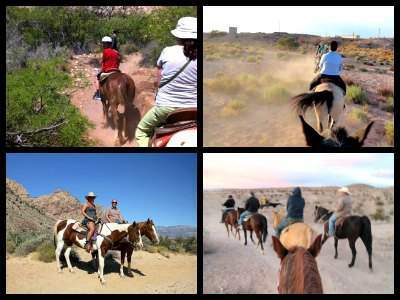 A unique thing to do in Las Vegas that puts you in touch with nature and the Wild West is to go horseback riding in Las Vegas. The excursions are perfect for families, couples, groups and single people that want to experience the Wild West while riding on the back of a horse. There are several to choose from that include incredible scenery at places such as Grand Canyon National Park, Red Rock Canyon State Conservation Area and the Mojave Desert. Other exciting horseback rides available include a trip to a private ranch where you can experience a buffalo safari and an authentic ranch-style cookout complete with a campfire, stars, stories and plenty of sing-alongs. The trails are perfect for all level of riders from novice to expert and most tours include complimentary hotel pick-up and drop-off service. 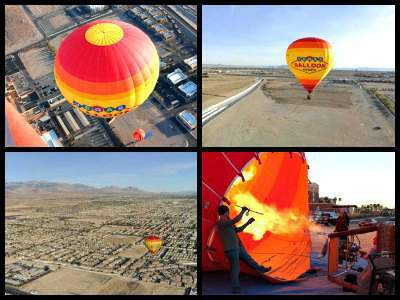 An ideal thing to do in Las Vegas to get a bird’s eye view of the Strip, Mojave Desert and the stellar natural landscape of Red Rock Canyon is to try one of the Vegas Balloon Rides. Hot air balloons are fun, exciting and romantic as you fly above such fabulous places. On these excursions you will be surprised how quickly and effortlessly you reach 800-feet into the air in your 10-story high hot air balloon. You will experience the fun of filling the hot air balloon before take-off while you listen to short safety instructions. Once in the air your eyes will be delighted with the sights as you fly for 1-hour over the Strip, the Mojave Desert, Red Rock Canyon and the Spring Mountains. When you land you can celebrate your exhilarating flight with a champagne toast while nibbling on a picnic basket full of tasty edibles. Your excellent adventure in the sky concludes once the hot air balloon is deflated. There are numerous places to go extreme in Sin City but a great thing to do in Las Vegas is try one of the many adrenaline filled Las Vegas Roller Coaster Rides. The roller coaster rides in Sin City are innovative, fast, fun and filled with an adrenaline rush that is second-to-none. 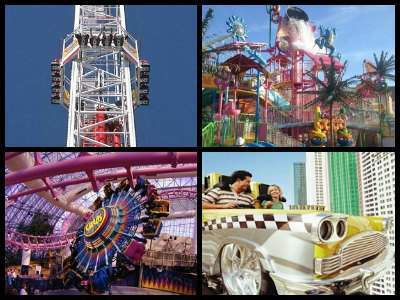 There are several high-powered coasters to get your heart beat going that include the waterslides at Wet N Wild Las Vegas Water Park, family-friendly coasters at Adventure Canyon at Buffalo Bill’s Hotel and Casino as well as the Adventuredome at Circus Circus where you will find the Canyon Blaster, Inverter and Chaos. The Stratosphere Tower sports the the XScream, the third highest coaster in the world, that throws you 27-feet over the edge of the building at 800-feet above the Strip. 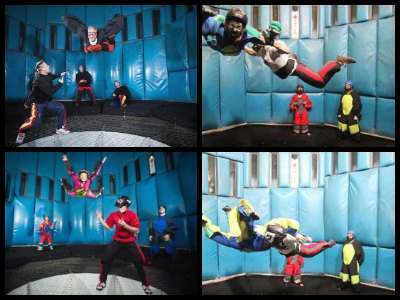 The best thing to do in Las Vegas for people that need to take their adrenaline to a whole new level is to try Vegas Indoor Skydiving. 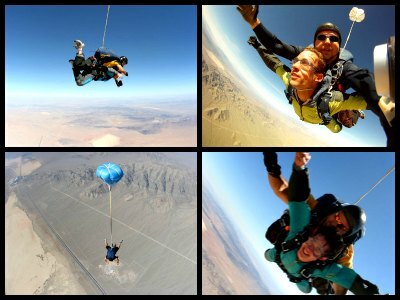 If you have ever wanted to go sky diving but never liked the idea of jumping out of an airplane, then this is the only way to experience the freedom of free falling into the sky. After your expert instructions, you can let your inner self fly through the air in a simulated free falling fashion at high speeds. Don’t worry about safety; this all takes place within a regulated environment that uses high-speed propellers to create the sensation of free falling out of an airplane. When you are finished with your extreme day of skydiving indoors, you will want to return for a second flight to experience the numerous sensations only known to skydivers. You will be thoroughly surprised with all the amazing things to do in Las Vegas, especially at Lake Mead. There are exciting excursions that have you experiencing the beauty of the largest manmade body of water in the Western Hemisphere and Lake Mead National Recreational Area. If you are into adrenaline then try an ATV tour that follows the mighty Colorado River or jump on a Jet Ski and tour the lake. Other fabulous ways to experience this incredible place is to take a stunning helicopter flight which includes a trip to the Grand Canyon National Park, run along the Historic Tunnels Trail to the Hoover Dam and let’s not forget the extreme packages that include shooting high-powered rifles at a local shooting range. 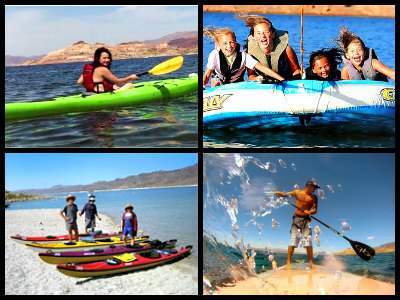 Whether you are looking for nature, a new adrenaline rush or just some outdoor fun, Lake Mead is a perfect place to spend a day. 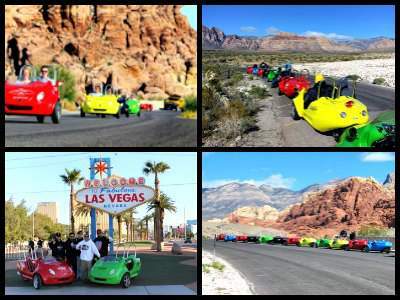 Up for some unique and unusual things to do in Las Vegas Check out these fun Las Vegas adventure tours to the Red Rock Canyon in little 3-wheel scooters with Scoot City Tours! While it's not really "extreme", I think this it's really fun and cool way to tour around the Red Rock Canyon as opposed to bus trips. I think you will remember riding a scooter much longer! 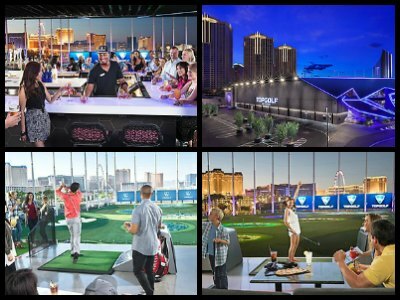 If you would like to mix a couple of activities together that can make for a perfect day or night and practice your golf swing, then a great thing to do in Las Vegas is to take a trip to Top golf Las Vegas. Located at the MGM Grand, Top Golf is more than just 107 climate-controlled hitting bays where you can hone your swing before hitting one of the many fantastic Las Vegas golf courses. Once at Top Golf Las Vegas you will find two freshwater swimming pools which are complete with VIP cabanas and private suites. Soak up the sun while practicing your golf swing or let the family enjoy poolside service while you relax hitting golf balls. During the evening Top Golf Las Vegas will host concerts from time to time where such standout bands as ZoSo: the Ultimate Led Zeppelin Experience or Turnover. The facility has five bars onsite so whether you are sitting poolside, hitting golf balls or watching one of the shows you can be assured of never being thirsty. One of the most extreme things to do in Las Vegas that will take your adrenaline level to higher levels and maybe leave you with wet pants is the SkyJump Las Vegas at the Stratosphere Tower. Your 20-minute heart stopping experience begins when you arrive at the Stratosphere Hotel and Casino. Here you will be outfitted with your safety harness and given specific safety instructions about your jump. Once on the elevator you will ride some 800-feet to the top of the Stratosphere Tower before experiencing the Guinness Book of World Record for commercial decelerators. At this point, the moment of truth is about to happen. Do you jump on your own, need a little help from the friendly staff or your partner? When you SkyJump off the 108th floor of the tower you will freefall at 40mph while feeling your heart in your throat. We hope you don’t close your eyes because your eyes will be treated to all the glory of the sights and sounds of the Strip. There are a couple of upgrades to add-on to enhance your experience such as a wrist camera to capture you in flight and professional photographs. 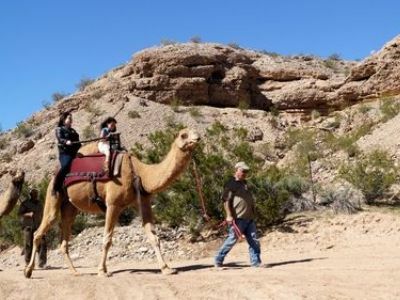 An intriguing thing to do in Las Vegas day away from The Strip in the beautiful desert scenery while atop a camel is the Guided Camel Safari Ranch Tour in the Nevada Desert. Your 1.5-hour safari adventure begins when you travel just outside of Mesquite, Nevada to the 176-acre ranch. As you self-drive through the Great Basin you will be pleased with the superb desert scenery of the area including the Virgin Mountain Range. When you arrive at the ranch, you will be given a short lesson on how to ride your camel and paired with an animal that is suitable to you to ride. The ranch has a gorgeous landscape that is nestled between the Great Basin and the Virgin River. As you travel atop your camel, your expert guide will fill you in on all the interesting plants, wildlife and rock formations you see. There will be plenty of time on this safari type excursion for photographs and petting the camels. 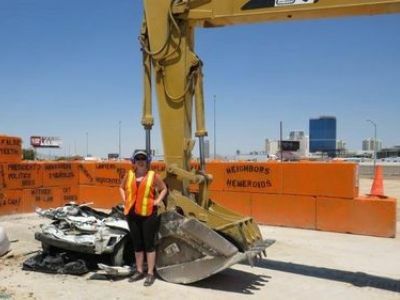 Everyone has a little pent up frustration inside and the best way to relief this pressure when looking for things to do in Las Vegas is to try the Dig This Aggression Session: Crush a Car. Your 45-minute crush it session begins when you arrive at the Dig This site just off the Strip. Once at the site you will be thrilled to see all of the construction equipment just waiting for you to use while you release your anger. 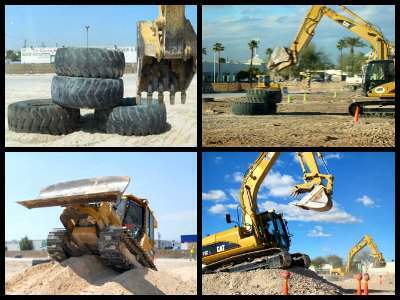 Your adrenaline will start to rise when you are seated in a powerful Caterpillar Excavator and you will receive expert instructions on how to navigate this monster of a crushing machine. Next you will stroll through the work site and pick out your victim. When you finish spray painting the car the fun really begins. Taking control of the excavator you bash, pound and rip apart the perfectly good car until you finally pick-up the car and drop the car to its death. There will be nothing left when you are finished from the windshield to the hood to doors to the undercarriage. Your excellent aggression session concludes with all smiles and a great memory of bashing something to a pulp. One of the best things to do in Las Vegas for people that want to experience unique wildlife, waterfalls and Mt. Charleston is the See wild Horses Hike, Mary Jane Waterfall Lunch Up a Mountain Tour. Your 5-hour adventure begins when you meet your expert hiking guide and professional photographer at the Stratosphere Hotel and Casino. 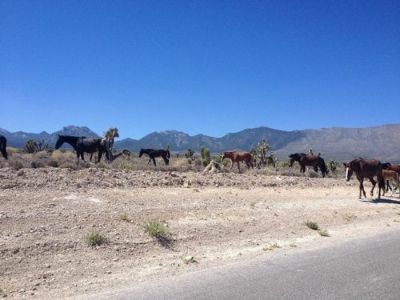 From her you will drive into the Mojave Desert to spot some of the most beautiful animals in nature, wild horses. As you gaze at the wild horses your professional photographer will help you take the best possible shots of these animals against the desert backdrop. Your excursion continues with a quick drive to Mt. Charleston to conquer Mary Jane Waterfall. The moderate hike of 3-miles takes approx. 2.5-hours to complete and is ideal for levels of hikers. After shooting some photographs of the waterfall you will then return and drive to the Lodge at Mt. Charleston. Here you will indulge in complimentary lunch on the mountain side while enjoying the surreal mountain scenery with incredible views of the Mojave Desert and Sin City. Your excursion concludes when you are transported back to the Stratosphere Hotel and Casino. 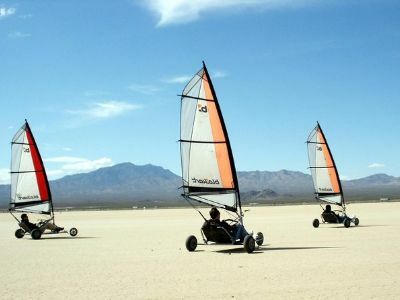 A perfect thing to do in Las Vegas to get your adrenaline flowing and view some incredible scenery is to try the Half-Day Land Sailing Tour. Your 4-hour day in the desert starts with free pick-up service from your local hotel where you will transported to the Mojave Desert and a nearby dry lake bed. Once here you will be thrilled with the moonscape scenery as you are outfitted with a customized wind-powered go-kart and all the necessary safety equipment. After a quick lesson on navigating these naturally powered go-karts you take off over the hard packed sand. The vehicles are perfect and equipped with a sail to catch all the necessary wind that will have you racing your partner at high-speeds. You will be amazed on how fast nature can get these vehicles going and watch-out for that two wheeled off the ground turn that hits the right adrenaline button. After a few races and some snacks, your excursion concludes with drop-off service back at your hotel. 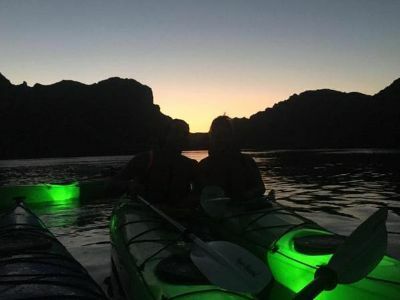 The Twilight Kayak Tour from Las Vegas is a truly remarkable outdoor thing to do in Las Vegas. Your 4-hour paddling adventure begins with complimentary hotel pick-up service where you will be transported to Willow Beach along the mighty Colorado River. Once here you will be outfitted with all the necessary equipment and listen to a brief safety meeting. You start paddle through the gorgeous Black Canyon where you will view incredible rock formations, listen to interesting historical commentary from your expert guide and look at the massive Hoover Dam from a different perspective. After a 2-mile paddle you will reach a secluded beach just as the sun set begins to change the sky above into a canvass of pastel colors. Next up, is roasting hot dogs over a campfire and listening to more stories from your guide while you take-in the beauty of the canyon. As night falls your guide will illuminate your kayak for your return paddle. While paddling at night, your senses will come alive as the stars in the sky begin to shine brightly. When you arrive back at Willow Beach, your excursion concludes with drop-off service at your hotel. We imagine that you have dreamed about destroying something to release all of the anger inside your body and when you are ready to destroy something in Las Vegas, then a perfect thing to do in Las Vegas in to make a trip to Wreck Room. Imagine standing inside a room with televisions, mirrors, furniture, plates as well as other objects and you are handed a crowbar or baseball bat. Now is your turn to destroy and release some of that built up stress that always seems to invade our bodies. You will have 30-minutes to literally go hog wild on everything that exists in the room. Put on your safety equipment and you can start whacking away on all the objects that are inside the room you are assigned. A great way to funnel anger and stress as well as a fun thing time making sure that you smash everything you can that is in sight. One of the newest adrenaline packed things to do in Las Vegas is to go soaring on the Fly LINQ at The LINQ. Your 30-minute ziplining experience begins when you arrive at THE LINQ and are outfitted with a safety harness as well as flight instructions. Your adrenaline levels will start to rise as you begin your upward travels to the launching platform some 12-stories above the ground. Once you have your harness on, you will take-off reaching speeds up to 35mph as you travel 114-feet above The LINQ. Your eyes will be pleased with the bird’s eye views of the High Roller and the Strip. Your extreme experience concludes when your heart recedes from your throat and back into chest as you walk away from one of the newest adrenaline rides in Las Vegas. 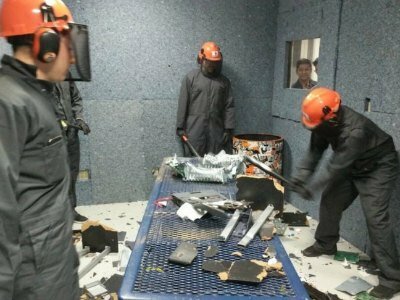 Sin City Smash is one of the newest things to do in Las Vegas for people that want the pleasure of destroying items in order to relief stress, anger and anxiety. When you visit Sin City Smash you have you choice of which type of scenario you wish to destroy that includes an office, living room or a kitchen. 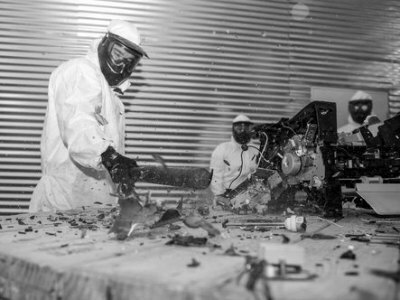 Once you put on your safety gear you can take pleasure in destroying everything in the room. Take your baseball bat to the computer, television, that gaming console you hate so much and don’t forget about the microwave. You will be thoroughly calm after you unleash your whacking power on items that you only dream of destroying in your home or office. No need to worry about who is going to clean up the mess when you are finished because all we want you to do is have a great time while taking out anger on a bunch of objects. When you want the ability to mix and match some exciting things to do in Las Vegas then a trip to the Axe Monkeys is a great idea. Visiting Axe Monkeys is a perfect way to relieve the everyday stress of the world and learn how to throw a hatchet. Once inside Axe Monkeys you can choose to learn how to become a champion axe or knife thrower by hurling the object into a target that is shaped like a dart board. When you want to take the stress, anxiety or anger out of your life then go for the wrecking room. Here you can smash things up like computers, televisions, gaming consoles, microwaves and more. You can choose to bring stuff to smash or buy items at the Axe Monkeys to complete your day of wreckage. The wrecking room and an hour of axe throwing can be combined to make for a great day of learning a new skill as well as relinquishing all the built up anger you might have about your job, school or home. 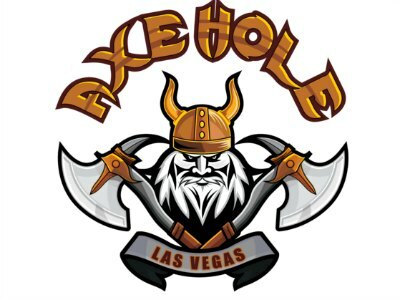 If you like darts or throwing horseshoes, then a great thing to do in Las Vegas is to challenge yourself to a good game of axe throwing at the Axe Hole. This Las Vegas activity is picking up steam as a fun way to learn how to throw an axe or knife in a controlled setting that makes you feel like Nordic invader. Once you arrive at the Axe Hole you will be outfitted with a special throwing hatchet that is 1.5 pounds in weight and your expert coach will give you direction on how to throw your axe. The object is to hit the bullseye on the target just like in darts or horseshoes. 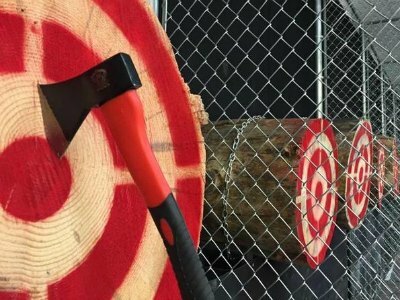 You will be surprised on how many trick shots you can learn in an hour while honing your axe throwing skills. Visiting the Axe Hole is great way for families to learn a new skill while having fun together. If you are a fan of the Amazing Race and like scavenger hunt adventures, then the best thing to do in Las Vegas is to try the Hunt in Sin City. 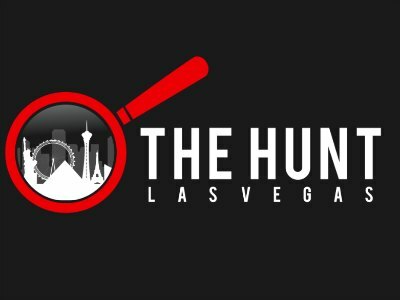 The Hunt is ideal for families and types of people who want to explore around Las Vegas in a challenging yet entertaining format. The Hunt has four unique tours that include a fun Booklet Style Hunt that lasts up to 3-hours and you will try to find the items in your booklet within 5 or more places along the Strip. The Play Vegas Hunt gives you the opportunity to explore attractions such as the Madame Tussands Interactive Museum, the Mob Museum and the NYNY Roller Coaster. Race Vegas is an amazing Race style hunt where you will need to find eight check points in a timely fashion to see who the winner will be. VIP Vegas Hunt can be customized based on what you want to experience while you are combing the city for all the items you need to be the winner. The Hunt includes specialty items such as Custom Clue Booklets, Laser Engraved Custom Medals for the winning team, use of a Nikon camera and discounts to many attractions.